Yes, Google it -- by 1990 or so he was almost broke. I remember hearing about it back in the 90's. He fell into the trap of a lot of young successful men; too much money, too young and too fast. Fresh Prince of Bel Air and his acting saved him financially (and their big Summertime hit, etc.) and he kept building from there. To play devil's advocate, that's a good amount of money from streaming, but not much after you pay your team of publicists, agents, lawyers, co-writers, producers, engineers, studio time for a big project like this. The thing is, acts like Dre who were built up into icons by labels and have good branding/name recognition can sustain and do reasonably well into the streaming era. The sheer number of fans they have from being massively exposed before the shift carries over. It's a much different case when an indie band starting out in the last few years invests in recording (still quite expensive to do well commercially), invests in gear and a van for a tour in support of that record, does a good job hiring a manager and publicist to fill the venues and goes out on the road. If everyone in a 300 person club streamed your album on their way home instead of buying it, you wouldn't have even earned enough $$ for gas to the next gig. That's why merch is the only way a new act survives as it builds momentum these days. Well, that, college gigs, and increasingly competitive TV/movie placements. I don't think these numbers are very good, honestly, when looking to the future of music. That said, the internet is a crazy unpredictable demon. The best music in the world should rise to the top regardless of who is making it...I hope that's the case. Yeah great points. Indeed, it's a crazy, and strange time for music. I always suggest patreonage as the ultimate model. In my own experience, a hundred people donating are more powerful than a million streams on the internet. It's a mind twister that is hard to accept at first.. But then it slowly dawns upon you. 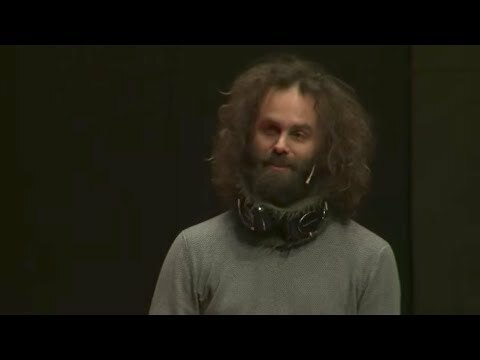 Here's a Ted Talk/ performance I gave on the topic earlier this year. Dr. Dre's Ex Michel'le: "I Was Just a Quiet Girlfriend Who Got Beat up"
Maybe Tim should address this at some point, lest Apple be accused of sweeping "Dre's" past under the rug?